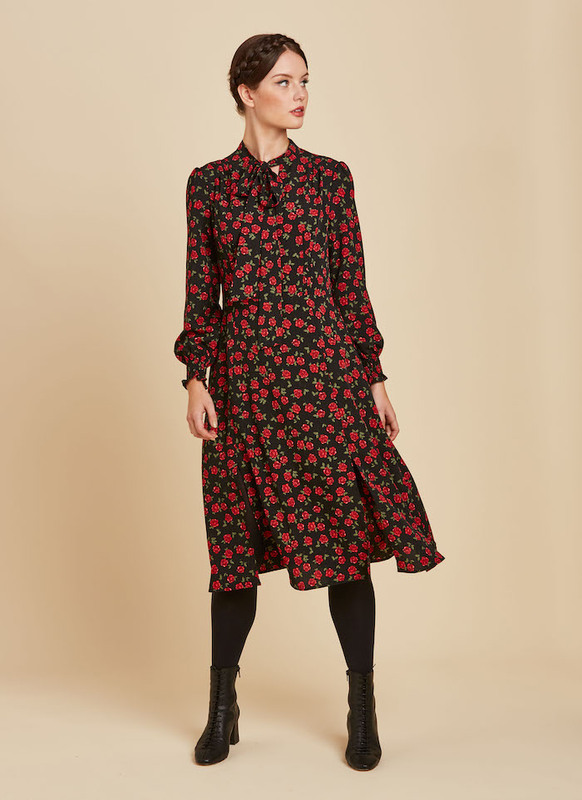 Oh Comely has teamed up with nostalgically inspired clothing brand, Joanie to offer one lucky reader the chance to win a £100 spend on their website. Known for sweet styling, unique slogan knits and pretty details, the brand has quickly gained a cult following of style bloggers and celebrities who love Joanie’s individual look and affordable pieces. Launched in 2016 and inspired by all things nostalgic, Joanie cuts through the noise of uninspiring fashion to create vintage-style clothing with a twist, giving a nod to the retro look (think peter pan collars, classic stripes and feminine silhouettes) – all in sizes 8–22. Joanie’s bestsellers don’t stay online for long, so we’re giving you the chance to snap up their signature styles with a £100 voucher to spend on the website. In what year was Joanie Clothing launched? 2007, 2014 or 2016. Give your answer here. Joanie T&Cs: Winner’s voucher will be issued as a code for use on Joanie’s website: www.joanieclothing.com. This code will be one-use only and must be used in its entirety in one single transaction. Non-transferable, no cash alternative. Entrants opting in for brand communications will receive periodic marketing emails – these can be unsubscribed from at any time. Winner must claim prize within 72 hours or another winner will be drawn. Iceberg T&Cs: The competition closes 20 January 2019. A winner will be chosen at random from all correct entries after this time and notified shortly after. Full terms and conditions are at icebergpress.co.uk/comprules. For me, few things beat a good soak in the tub - lighting a candle and leaving the city bustle behind me is a slice of heaven. So when I spoke to Nat of Nathalie Bond Organics my heart melted as smoothly as their lemongrass candles. And with Mother’s Day just around the corner, one lucky person can win the whole range of products to pamper their mum (or maybe just themselves!). When Nat fell pregnant her everyday beauty brands just stopped working for her; so she did some digging and found that on average, women apply 168 chemicals to their body every single day! Nat, what are these chemicals? There are all sorts from synthetic perfumes to the chemical making soap foam, then there is alcohol and even water can be a challenging ingredient for sensitive skin. That’s why all of our products are oil based. Do you have a favourite product? I just love the Peppermint and Eucalyptus Scrub, it’s a two-in-one product, because it has lots of lovely oils in it, I don’t need to moisturise! I really want to simplify beauty, our products are versatile, they don’t have one set use. Body oils can be used in the hair or for massaging -- it really is whatever you want it to be. What’s on the cards for this year? One of our biggest dreams long term is that one day we would be able to own a farm on the edge of the city where we can grow our own ingredients and continue to employ local people. And where can I get my hands on your products? Of course you can get everything online, but we do stock in a handful of places across the UK. The best thing to do is email and ask, that way we can let you know what products they stock too. Every single delightful organic item is handmade, labelled and shipped from a tiny workshop in Sheffield on the edge of the Peak District National Park. The range includes handmade soap, lip salves, balms, body oils, scrubs, bath salts and essential oil candles. For your chance to win over £100 worth of organic loveliness head over to Twitter, Instagram or Facebook and give both @ohcomelymag and @nathaliebond a follow and tell us why you should win with the #OCOrganic.